Basseterre, St. Kitts – February 10, 2018: The Diocesan Bishop, The Rt. Rev. 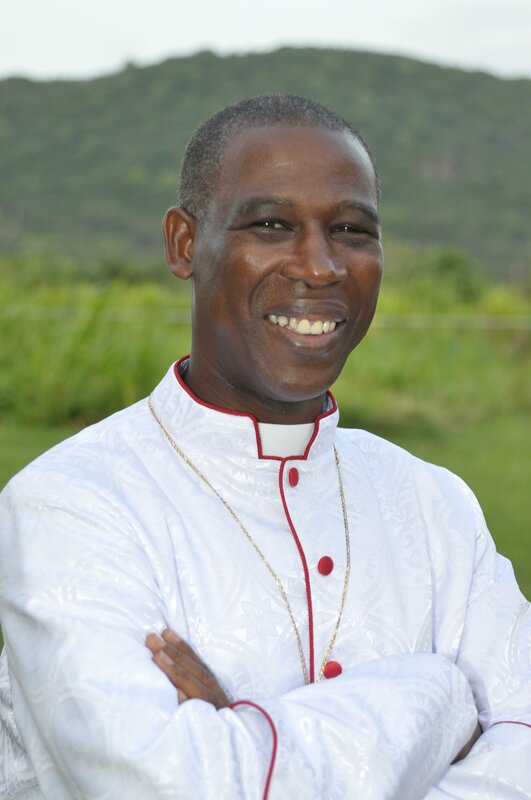 L. Errol Brooks, has appointed a new Anglican Archdeacon of St. Kitts, effective February 1st, 2018, the former Canon Isaiah Phillip is now to be addressed as Archdeacon Isaiah Phillip or the Venerable Isaiah Phillip. In addition to his responsibilities as Parish Priest of Holy Trinity and St. Peter’s Parishes here on St. Kitts, Archdeacon Phillip now has administrative duties in the islands of Anguilla, Aruba, Nevis, Saba, St. Barths, St. Eustatius, St. Maarten/St. Martin. The Diocese of North Eastern Caribbean Aruba (NECA) is made up of two Archdeaconries: the Venerable Franklin Reid is the Archdeacon of Antigua. As the Archdeacon of St. Kitts the Venerable Isaiah Phillip is responsible for the larger of the two archdeaconries. He would also, up to the end of June 2018, continue to have oversight for the Diocesan Ministerial Development Directorate. The Venerable Isaiah Phillip was ordained as a Deacon in 1988 and a Priest the following year, 1989. He graduated with First Class Honours from the University of the West Indies with a Bachelor’s of Arts Degree in Theology. He later attained a Master of Philosophy in Theology from the University of Birmingham in the United Kingdom in 2005. Archdeacon Phillip has ministered faithfully in the Caribbean, North America and the United Kingdom throughout his career. At home in St. Kitts, he taught at the Basseterre Junior High School, has been Chairman of the Christian Council, board member of both the Basic Needs Trust Fund and Clarence Fitzroy Bryant College board(s) and holds the rank of Captain in the Royal St. Kitts – Nevis Defence Force, where he is the Chaplain. Archdeacon Phillip married his wife Eleanor in 1988; they have three grown children, two girls and one boy. Please pray for Archdeacon Phillip and his family as they embark on this new ministry as Archdeacon of St. Kitts.